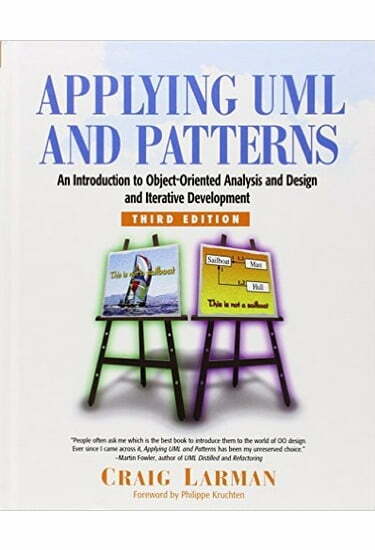 Applying UML and Patterns is the world’s #1 business and college introduction to “thinking in objects”—and using that insight in real-world object-oriented analysis and design. Building on two widely acclaimed previous editions, Craig Larman has updated this book to fully reflect the new UML 2 standard, to help you master the art of object design, and to promote high-impact, iterative, and skillful agile modeling practices. Developers and students will learn object-oriented analysis and design (OOA/D) through three iterations of two cohesive, start-to-finish case studies. These case studies incrementally introduce key skills, essential OO principles and patterns, UML notation, and best practices. You won’t just learn UML diagrams—you’ll learn how to apply UML in the context of OO software development. Applying UML and Patterns, Third Edition, is a lucid and practical introduction to thinking and designing with objects—and creating systems that are well crafted, robust, and maintainable.